Request a quote or schedule an appointment. 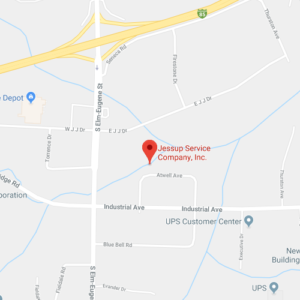 With its beginnings in the plumbing business, Jessup has transformed itself several times over the years, first as an air conditioning company, and then as a full service mechanical and maintenance company. Jessup was established in 1950 by Kenneth Jessup. His belief was to offer the best service possible at a fair price, which is still a cornerstone of our business today. We are licensed for general construction, plumbing, air conditioning, heating, and electrical services. We also specialize in light commercial uplifts and commercial renovation. At Jessup, our installers are Jessup Service Employees who have undergone strict background checks and vetting process – we do not contract out jobs to other providers. All of our employees are fully covered by Worker’s Compensation Insurance. We offer 24 hour emergency service. Give us a call! We’re here when you need us. Kenneth Jessup opened Jessup Plumbing Company which he led successfully for many years. In 1998, David Jessup joined the family business and served as President until 2000. With over 30 years in the plumbing, HVAC and general construction industry, Suzanne Brown became the new owner. Through her hard work, she placed Jessup in front of the Triad community. Our mission statement hasn’t changed from day one, “give the best service possible at a fair price. We do not contract out jobs to other providers and security is our top priority. Jessup is the only company in the Triad that is state certified as a WBE/HUB. Our installers have undergone a strict vetting process and background checks. We have a strong reputation because we are only interested in doing the best job possible. When you choose Jessup, you choose quality service that’s fast, friendly, and reliable. We offer a wide variety of services covering all your light commercial and residential plumbing needs. Our heating system maintenance service helps maximize performance, maintain efficiency, and ensure safety. We perform AC unit repair, installation, and maintenance to assure a long, reliable life for your system. From installing and repairing to performing electrical system changes and upgrades, we’ve got you covered. If you’re in need of more functional storage space, just tell us your idea and we can make it happen. We are a warranty sales and service provider for Rinnai and work closely with the brands below.